This year we decided to make a big change to our inside garden. 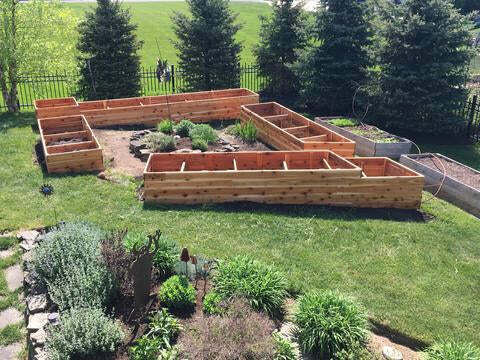 We decided to convert all of our beds to raised beds. 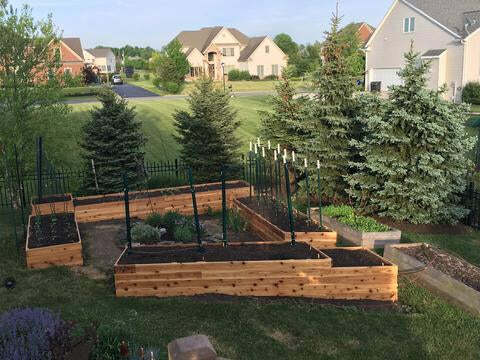 Raised beds create a very productive growing environment due to their deep growing spaces. Deep soil equals deep roots. The more freely roots can develop, the stronger the plants will be. This also helps us to keep out critters like rabbits and voles.To create these, we used red cedar, which is not treated with chemicals, and can withstand the tough weather we have here in the Northeast. 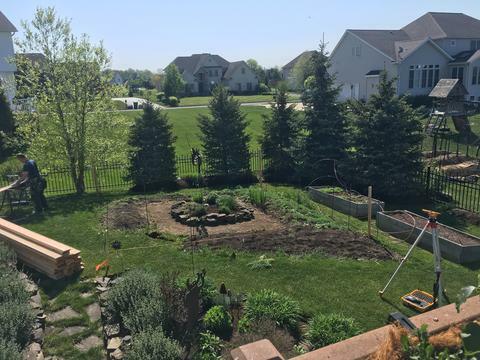 Below are the stages of the transformation: I can't wait to see how much more productive our beds are! As you can see in the bottom picture, the greens that we planted in April are producing well now! We are harvesting mezuna, spinach, lettuce, and arugala.In case you haven't planted your veggies yet, I have some tips on how to plant leeks and tomatoes with 2 recently created videos. I think many people don't plant new seedlings deep enough when they transplant. Deep planting helps create a stronger foundation for those weak stems. Once outside, plants will begin to strengthen in natural conditions, much different from being in small seed pots.